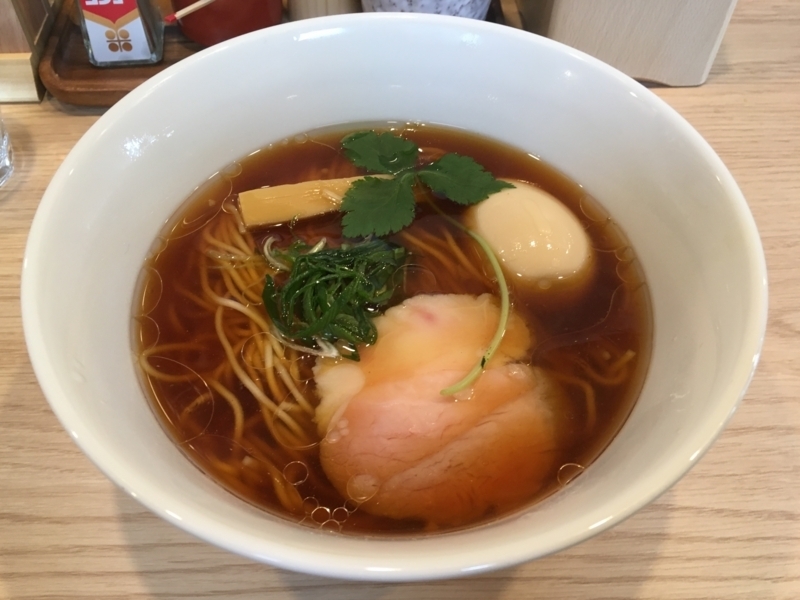 In Kanagawa Prefecture, there is a unique ramen, which is called "Kanagawa-Tanrei-Kei". 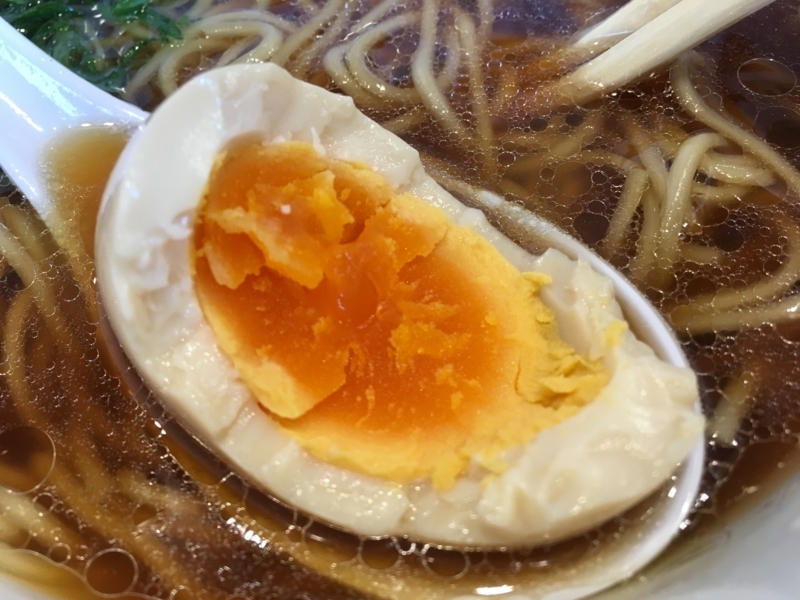 It is a transparent soup, mainly used for chicken extract. Then, flavor oil called "Chi-yu" is added at the stage of finishing. I think that 'Tanrei' means pale and gentle. 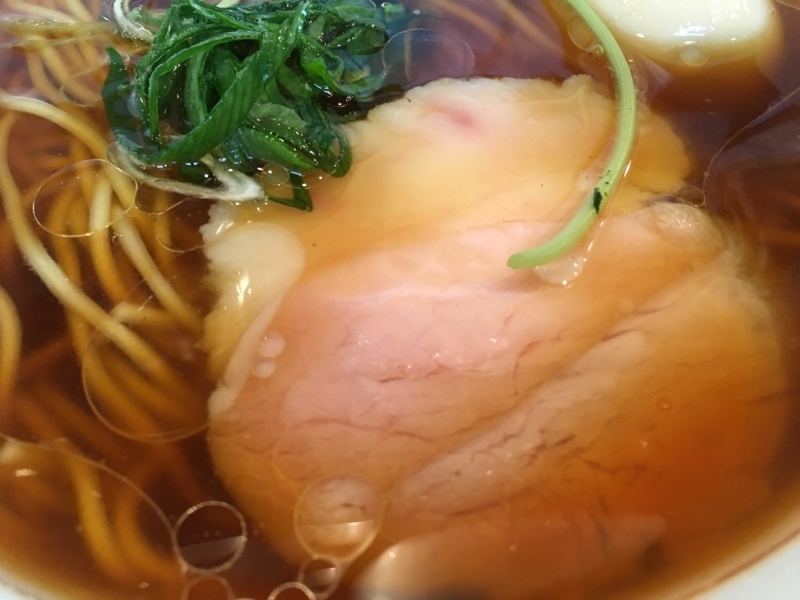 The famous and popular "Nakamura-ya" is particularly good at this type of ramen. 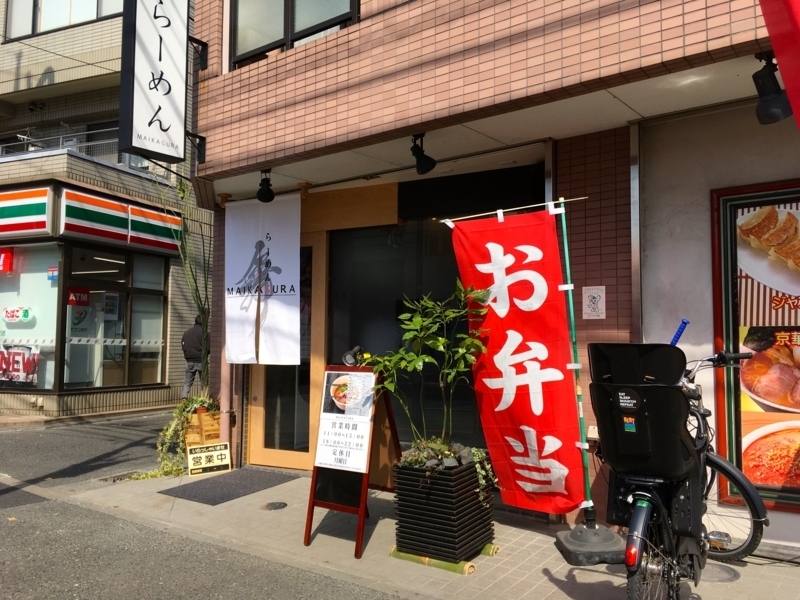 The chef who worked for many years at Nakamura-ya independently opened a shop now. That's "Maigakura". 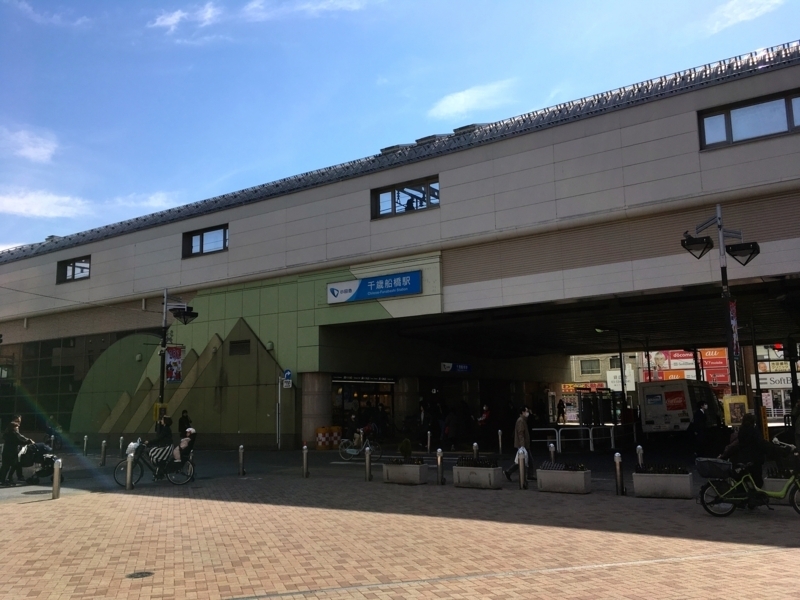 This time, I came up to Chitose-Funabashi in search of that one. It seems that the shop has gained popularity already in that locality. 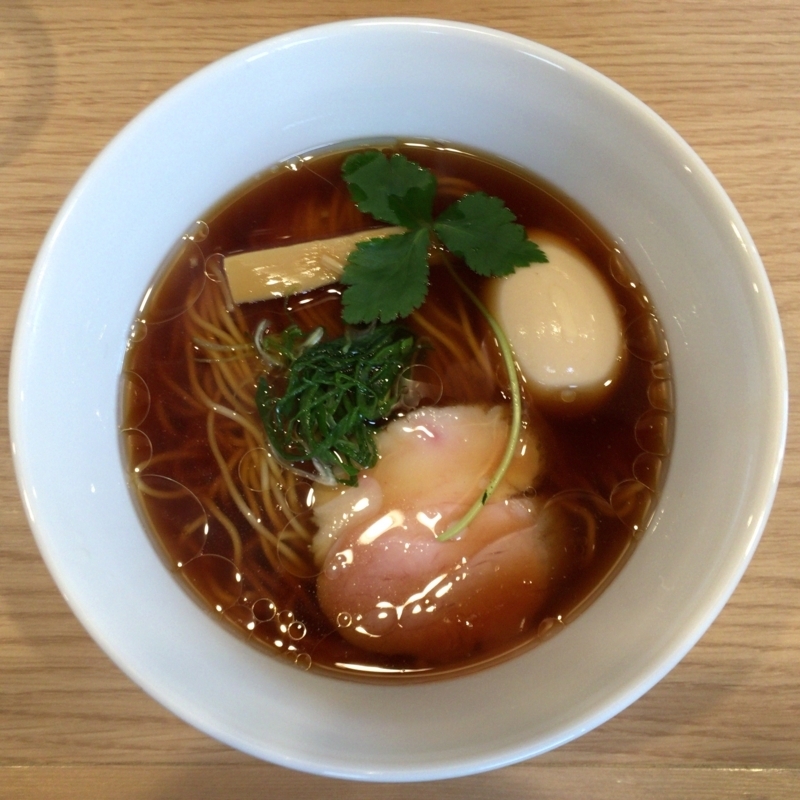 The ramen looks very beautiful, and is full of transparency. The shade of soy sauce is twinkling like topaz. And it gives a gentle impression like spring sky. 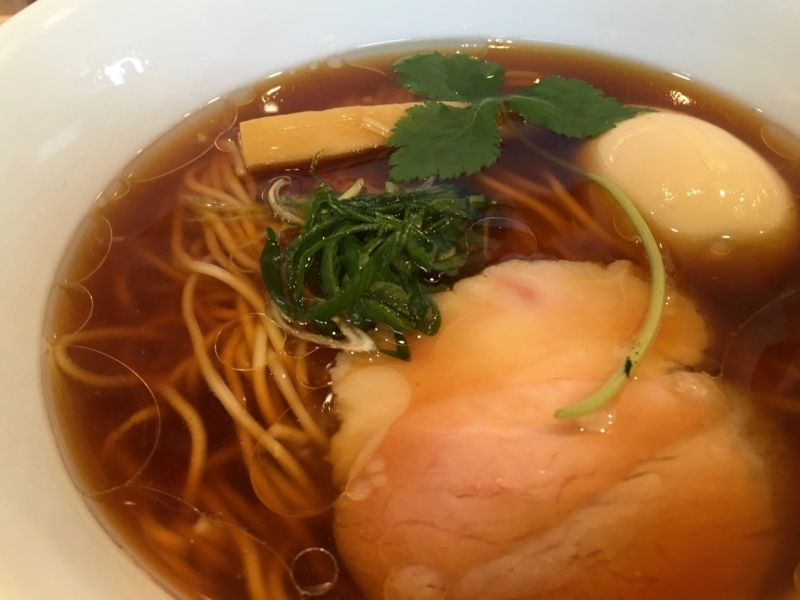 In the soup, the flavor of the chicken is fully utilized, and there is no complicated taste. It's very clear. 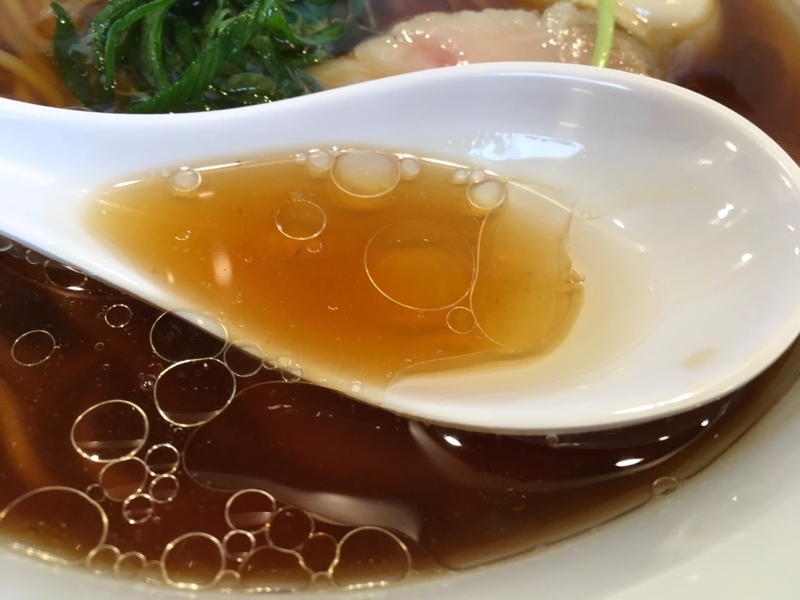 With that soup, the soy sauce taste has a low degree of saltiness and does not disturb the taste of the material. 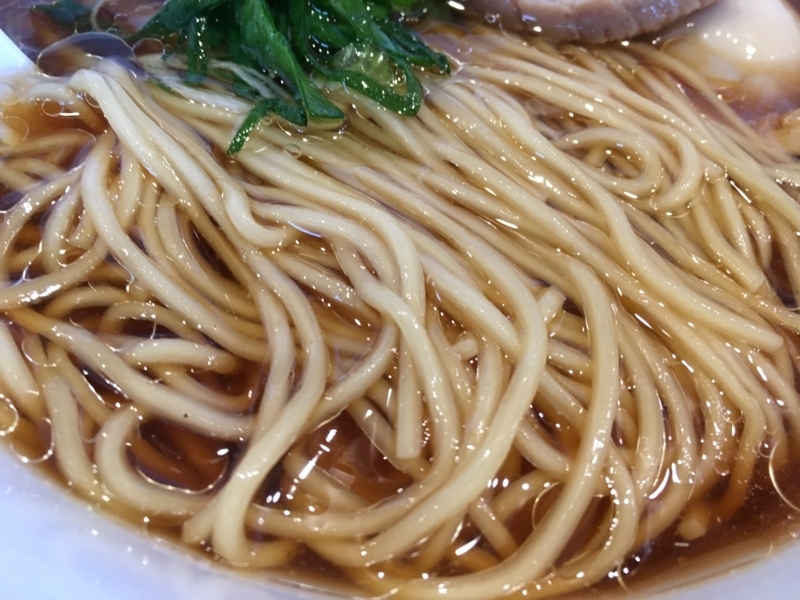 It seems that flavor oil gives maturity to the scent of ramen. Noodles are elegant. It's straight and slim. I feels a little moisture. Its surface is slippery. 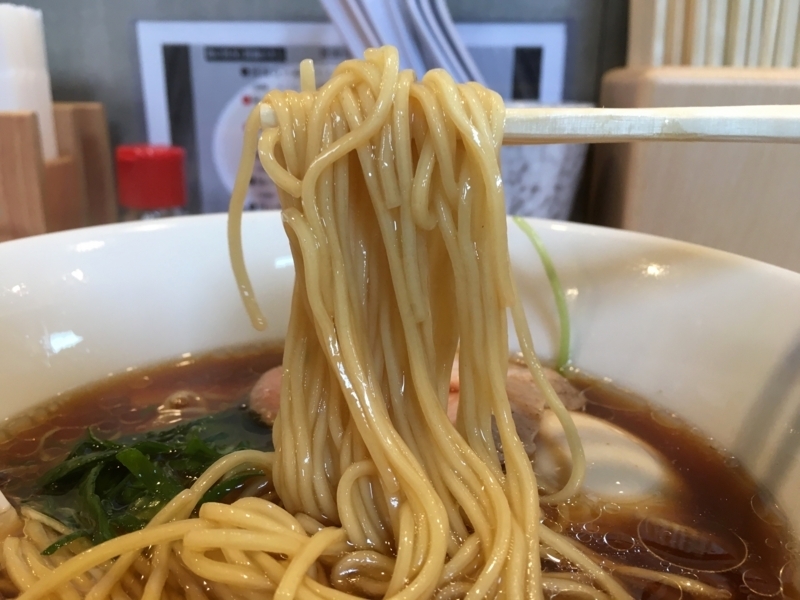 The noodle looks like a stream of a small river and makes me feel beautiful. As soup penetrates noodles, it gets tasteful. Chasyu is also delicious. It is pig shoulder loin meat, and seems that it is made over time with low temperature cooking method. 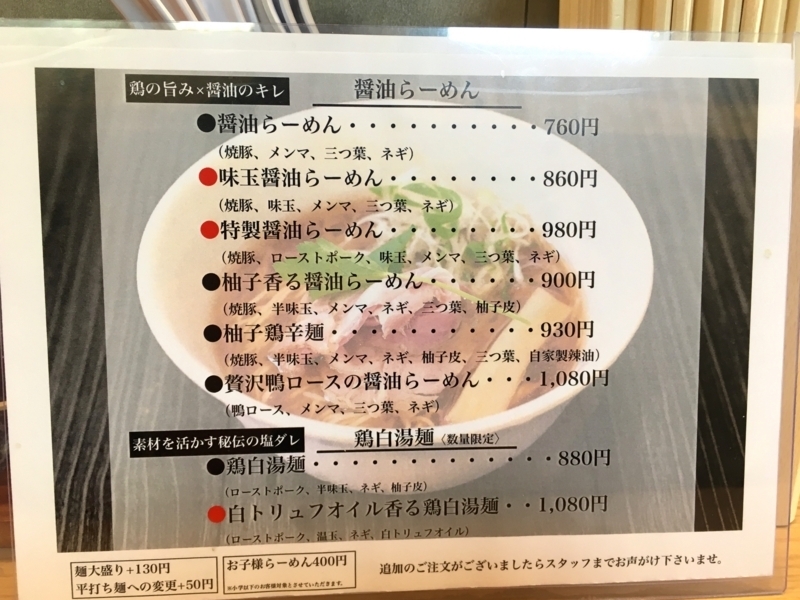 It is a trendy recipe at the recent ramen world in Japan. It keeps the taste of the material and leaving the meat soft. This shop is nice! . I wanted to eat other menus of course. I have already thought revisiting . This is also recommended shop. If you have the opportunity to go near 'Chitose-Funabashi', please do visit this shop.